Now that it’s a bit more than year later, Eero has revealed the 2nd Generation Eero. Rather than a major redesign, the 2nd Generation Eero focuses on improving on the first generation product while simultaneously launching lower powered wall mounted node called the Eero Beacon. Here’s a look at the specifications. For this generation, Eero’s lineup will have two new products, the 2nd Generation Eero and the Eero Beacon. 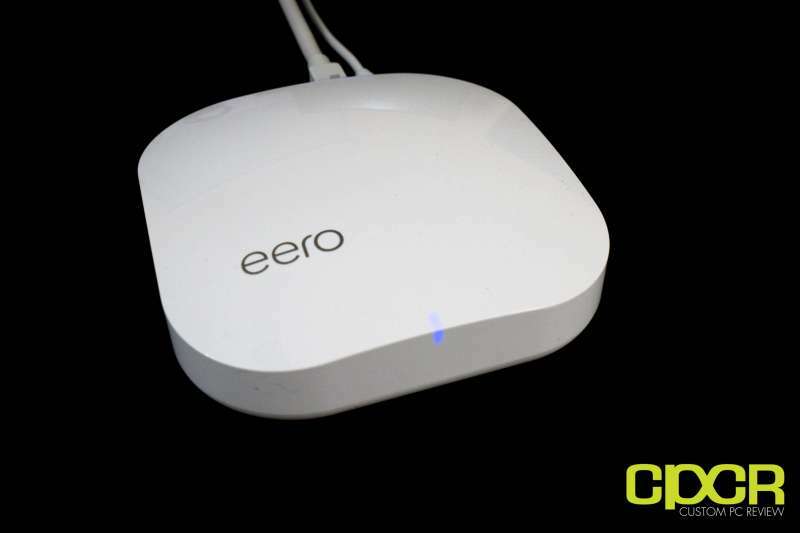 Powering the 2nd Generation Eero is a 700MHz Quad Core processor paired with 512MB of RAM. The major improvement for the 2nd Generation Eero is the addition of the tri-band radio, which provides it with a 2.4GHz, 5.2GHz, and 5.8GHz radio. This should help provide improved wireless backhaul capabilities to the Eero and support more devices simultaneously compared to the first generation product. Unfortunately, the radios are still connected to 2×2 antenna setups, so maximum performance isn’t much different compared to the original. Powering the Eero Beacon is a 700MHz Quad Core processor paired with 512MB of RAM as well. However, unlike the Eero, the Eero Beacon only features a dual-band radio paired with a 2×2 antenna array, so performance should be largely similar to the first generation Eero. As the unit is wall mounted, it’s a significantly smaller device and also features a 10 lumen LED nightlight for illumination. Here’s a look at the packaging for the 2nd Generation Eero. For the second generation, Eero will be available in kits or the Eeros can be purchased individually. Kits are available in either Eero + Eero Beacon, Eero + 2x Eero Beacon, or 3x Eeros. For our review today, we recieved the Eero + 2x Eero Beacon kit which according to Eero is designed for medium sized homes with 2-4 bedrooms. Included in the packaging is some sparse documentation, the Eero, two Eero Beacons, a power adapter, and an Ethernet cable. Here’s a look at the 2nd Generation Eero. The exterior design of the unit is unchanged from the first generation however, there are quite a few internal improvements. The biggest improvement is that the Eero now features a tri-band radio rather than a dual band radio which was used in the original Eero. This should significantly help improve backhaul performance. New for this generation Eero is the Eero Beacon. 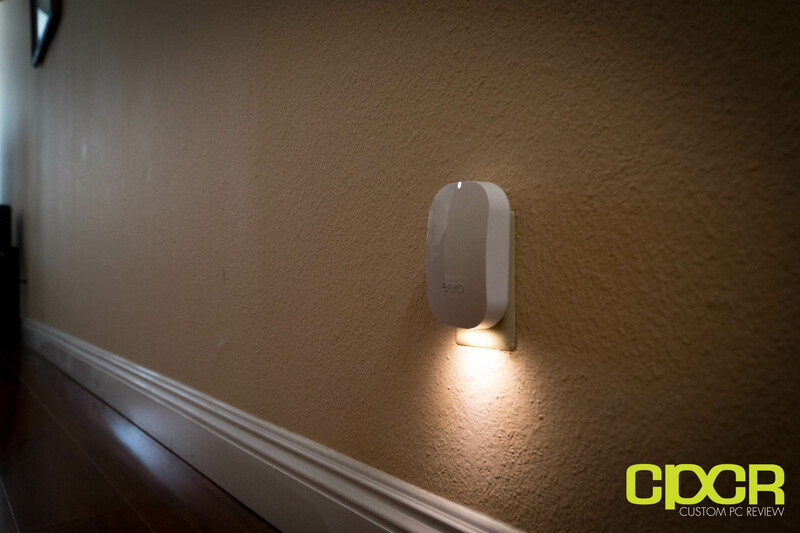 The Eero Beacon is a smaller outlet mounted device that acts as an Eero node. Compared to the Eero, the Eero Beacon is significantly smaller, but doesn’t have any Ethernet ports and isn’t as powerful as the Eero either. However, given that the device is wall-mounted, it’s a significantly better fit in areas such as hallways or kitchens where a full Eero is unsightly and unpractical. The most interesting design aspect of the Eero Beacon is the addition of a 10 lumen LED nightlight that can either be scheduled to turn on at certain times of the day or be set to turn on based on the ambient light, similar to an actual nightlight. As the Eero Beacon will take up an entire outlet when installed, this allows you to install the Eero Beacon without a compromise to safety. When Eero came on the scene last year, its major differentiating factor on the software side is that it was managed solely by the use of an app making the setup process easy and intuitive for the average customer. 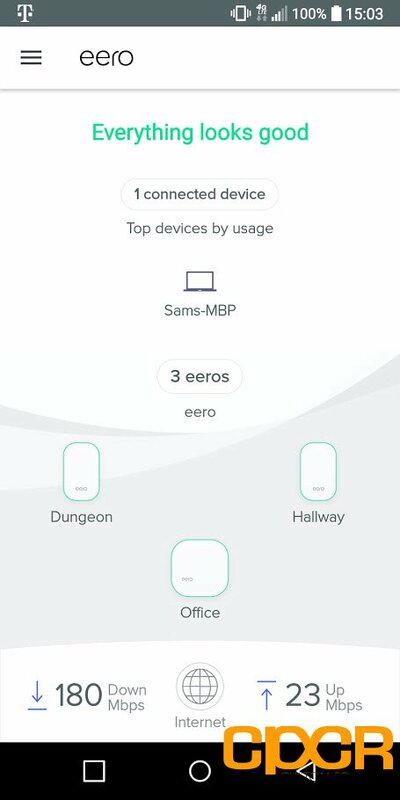 With the 2nd Generation Eero, everything remains largely the same with the same easy setup process and the same easy management interface. On startup, the Eero app will help you configure the Eero through a simple installation process. 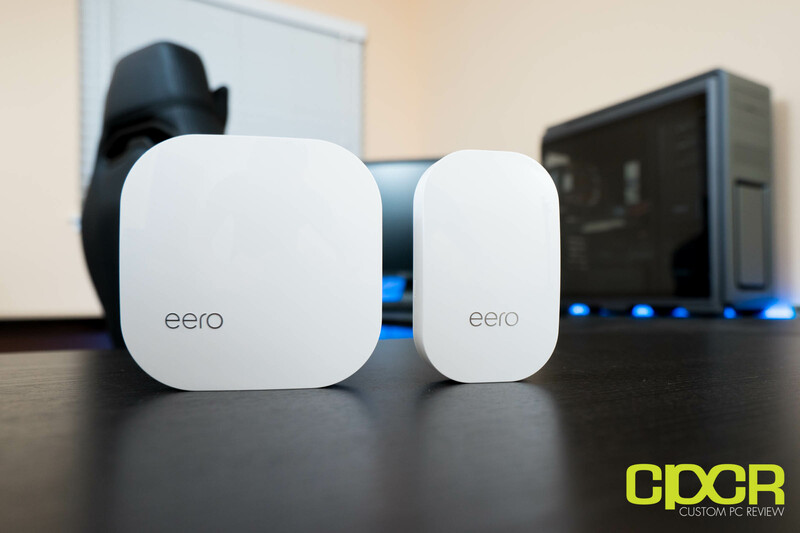 Among all the mesh WiFi systems we’ve tested, Eero undoubted has one of the fastest and easiest setup processes available. 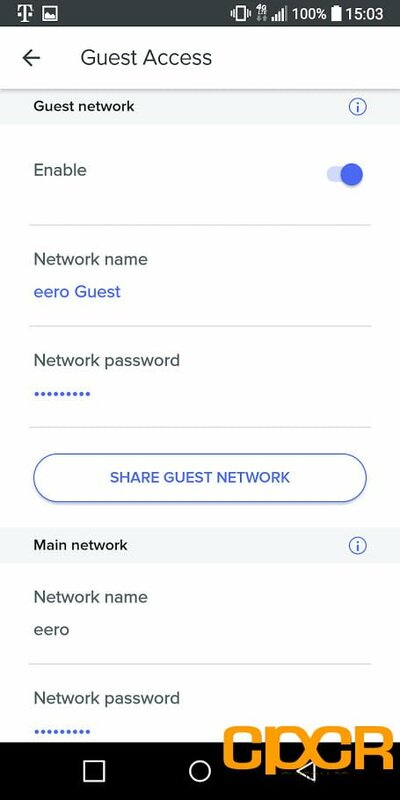 After setting up the first Eero, which will be the gateway Eero, simply elect to setup the remaining Eeros and the entire system should be up and running within 15 minutes. The Eero app’s interface hasn’t changed all that much since we reviewed the first generation Eero last year. With the Eero, it’s all about simplicity and the app reflects this philosophy. On the initial status page, the app displays all the Eero devices along with a speed test of the network as well as connected devices. Tapping on each device offers more information about the device. 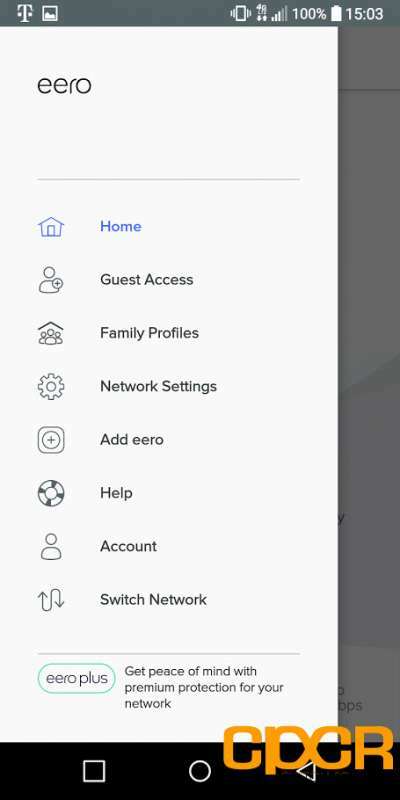 For power users who need a bit more advanced functionality, Eero also offers guest WiFi, internet scheduling, static IPs, bridge mode, UPnP, IP reservation and port forwarding. 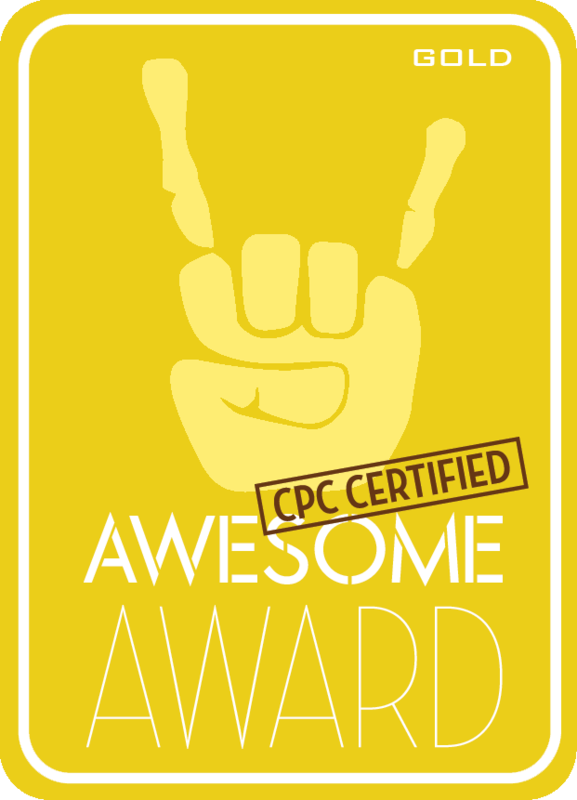 Unfortunately, features such as VPN, QoS or advanced parental controls is still unavailable at this time. Clearly the Eero is designed for a more average home user who simply wants to have a working network rather than spend hours trying to figure things out. While most of the software remains unchanged, Eero has implemented a new service called Eero Plus, which is available as a $9.99 per month or $99.99 per year add-on. This new service provides enhanced online protection against malware, phishing, ransomware and viruses. 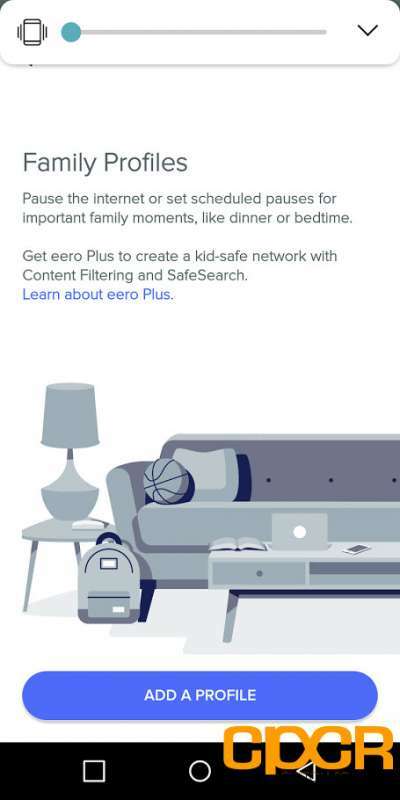 Additionally, Eero Plus also offers content filtering as well as VIP support which Eero claims reduces wait times to little or none. 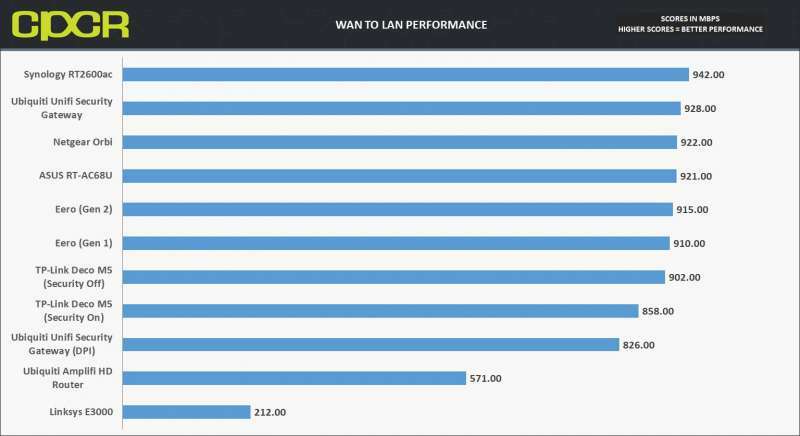 Routing performance for the 2nd Generation Eero is on par as expected. Performance is similar to what we saw from the first generation Eero. Single Eero (2nd Generation) – While the 2nd Generation Eero doesn’t bring about an additional antenna for improved performance, it does still gain a fairly decent performance improvement over the second generation. 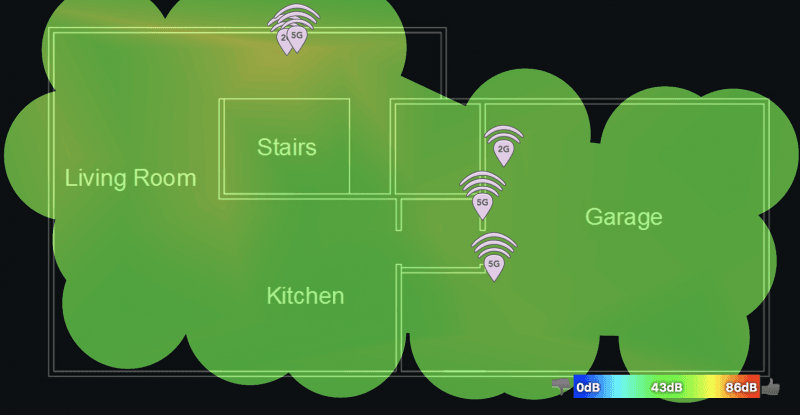 In Location 1, the new Eero was able to reach 620 Mbps, which makes it one of the fastest 2×2 AC Wi-Fi systems. At Location 2 using the single Eero, performance reached just short of 200Mbps which is also slightly faster than the first generation. 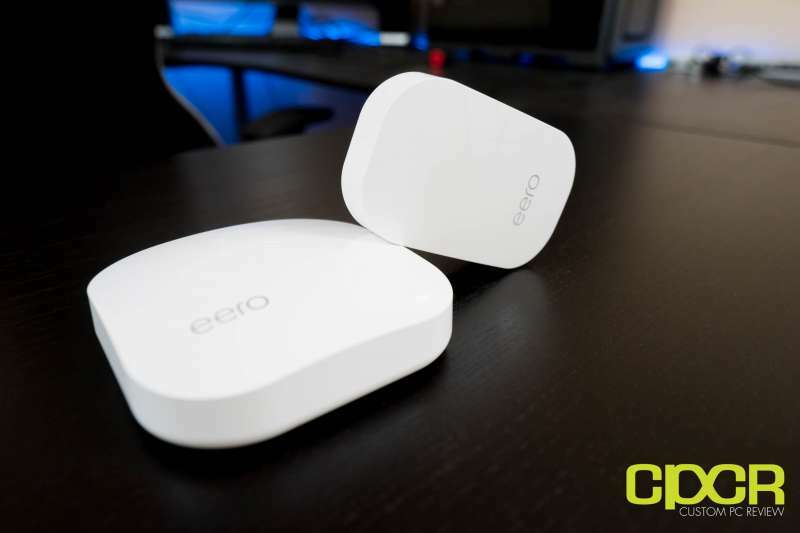 Eero Beacon (One Hop) – The Eero Beacon is the new Eero device designed with a smaller footprint, but slightly less performance as well. 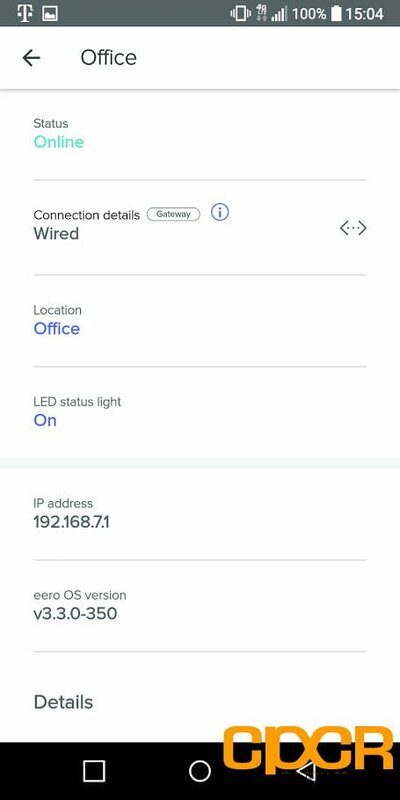 In testing, using the Eero Beacon as a hop to connect to the Eero was able to provide about 180 Mbps in Location 2. This is a slightly lower number than we saw from just a single more powerful Eero on its own, but the addition of the Eero Beacon does significantly improve signal which in turn allows better coverage over longer distances. 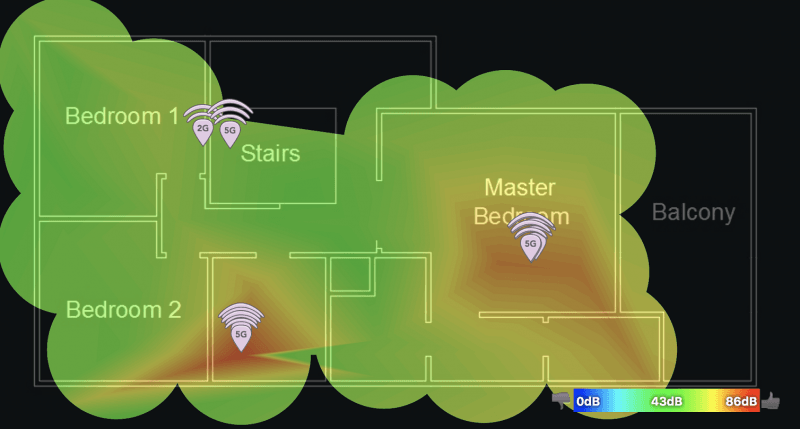 In order to test the Wi-Fi coverage of the system, I utilized NetSpot, which is an excellent, easy to use utility that will allow you to create Wi-Fi site surveys. Here, we’ll be measuring SNR (Signal to Noise Ratio) to assess the quality of the signal throughout the entire location. Signal coverage from the Eero and Eero Beacons were excellent. This isn’t much of a surprise as the second generation Eeros are mostly just improved versions of the original. When I tested the first generation Eero last year, I was mostly impressed with the system. 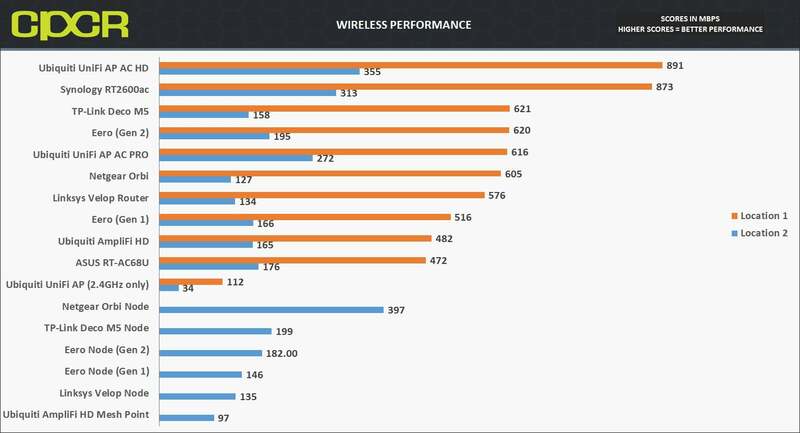 While it wasn’t the best performing of the bunch, it was by far the most well implemented mesh WiFi systems on the market. The 2nd Generation Eero mostly improves on the first generation. For the 2nd Generation, Eero has improved performance somewhat, but the system is still limited by the lack of a dedicated backhaul making it slightly slower than mesh WiFi systems with a dedicated backhaul such as the Netgear Orbi. For speed demons looking for the best possible performance, the lack of a 3×3 antenna array also limits performance for those who own devices that can take advantage of the extra antennas. 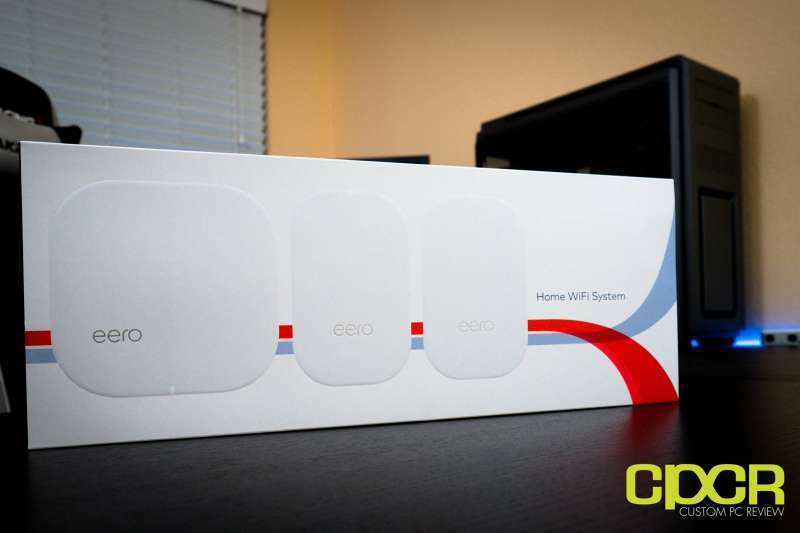 That said, for the average user on the Eero simply looking for a stable WiFi connection for browsing the web or streaming some videos on YouTube throughout the entire house, the Eero will be a perfect fit. The software on the 2nd Generation Eero is identical to what we’ve seen previously. 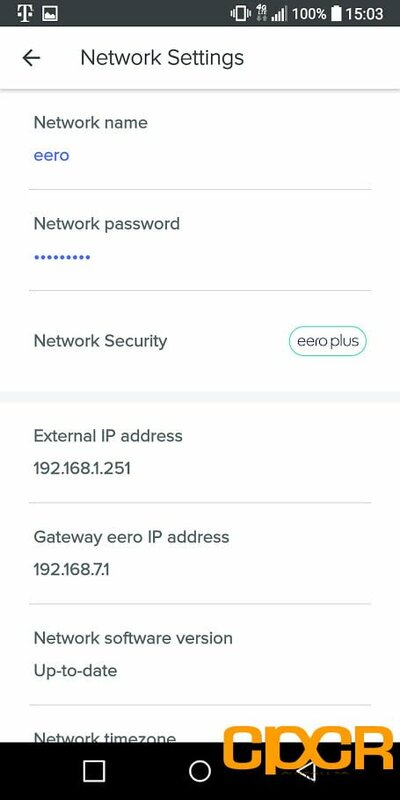 Unlike older router companies which mostly abandon its routers after the six months of firmware updates, Eero has been constantly issuing firmware/app updates which has made the software side of things very, very good. Setup on the 2nd Generation Eero took no more than 15 minutes and every step of the way went very smoothly from beginning to end. For those looking for a system for a parent or acquaintance with little to no knowledge of network setup, the Eero is definitely a good choice. Also being released with the 2nd Generation Eero is the Eero Plus service, which costs either $9.99 per month or $99 per year. While I think it’s nice that Eero is going in a positive direction by offering anti-malware and content filtering services, personally I don’t see enough value to justify a monthly fee, especially for something as simple as content filtering which is offered by most mesh Wi-Fi systems on the market without an additional fee. Speaking of fees, pricing for the 2nd Generation Eero is currently $399 for the Eero + 2 Eero Beacon kit that we’re reviewing today. Eero also sells the 3 Eero kit for $499 as well as an Eero + Eeero Beacon kit for $299. Those who want individual Eeros can also purchase them for $199 and Eero Beacons for $149. Overall the 2nd Generation Eero is an excellent product. While those who need more advanced networking functionality or want the best possible performance may be a bit disappointed, the average user looking to simply setup a reliable home network with wall to wall coverage will not be disappointed. Recommended!